Ginkgo Biloba by Kirkman is great for improving blood flow (ie. Raynauds). 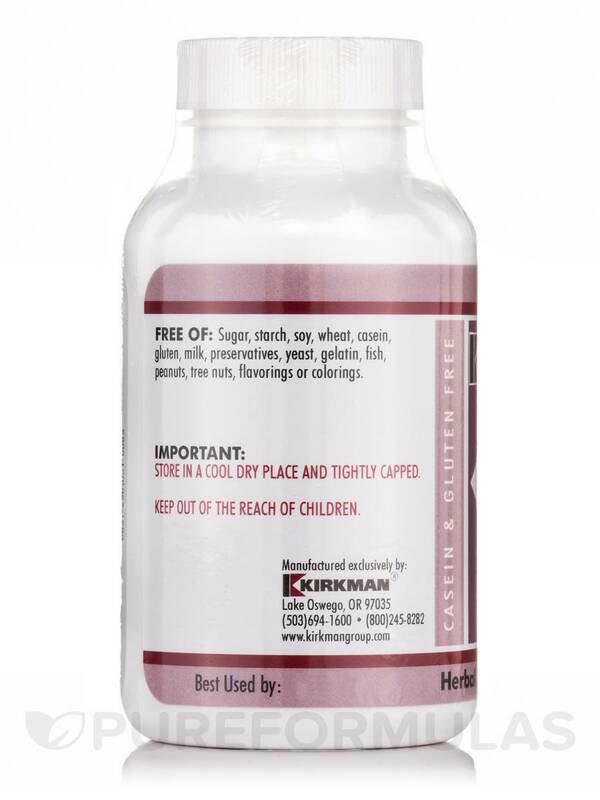 If you’re looking for an herbal supplement that could potentially work to support optimal cognitive function‚ you may want to try Ginkgo Biloba 75 mg by Kirkman. Notably‚ ginkgo biloba leaves provide ginkgolides and other terpenes that might act to maintain optimal blood flow by working to dilate blood vessels and make platelets less sticky. Since this could potentially allow more oxygen-rich blood to reach your brain‚ the terpenes in this supplement may help address certain symptoms associated with minor memory loss or trouble concentrating. 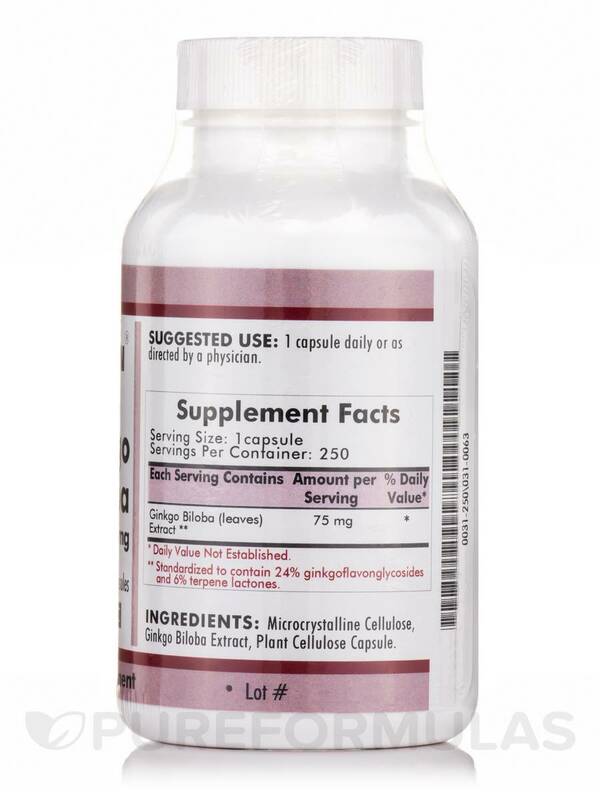 Moreover‚ Ginkgo Biloba 75 mg contains bioflavonoids that might serve as antioxidants. As a result‚ this supplement may aid in protecting your cells from free radical damage. 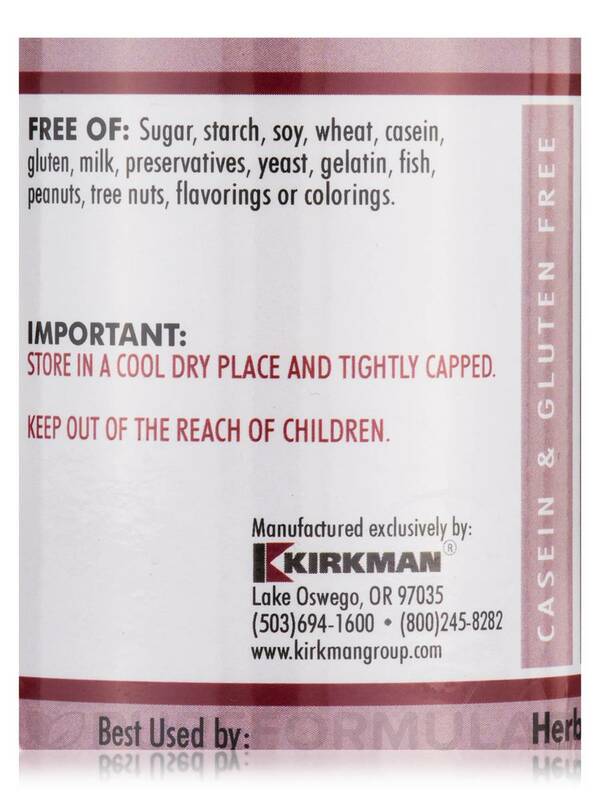 For these reasons‚ every capsule provides 75 milligrams of ginkgo biloba extract‚ which Kirkman has standardized to contain 24 percent flavoglycosides and six percent terpene lactones. 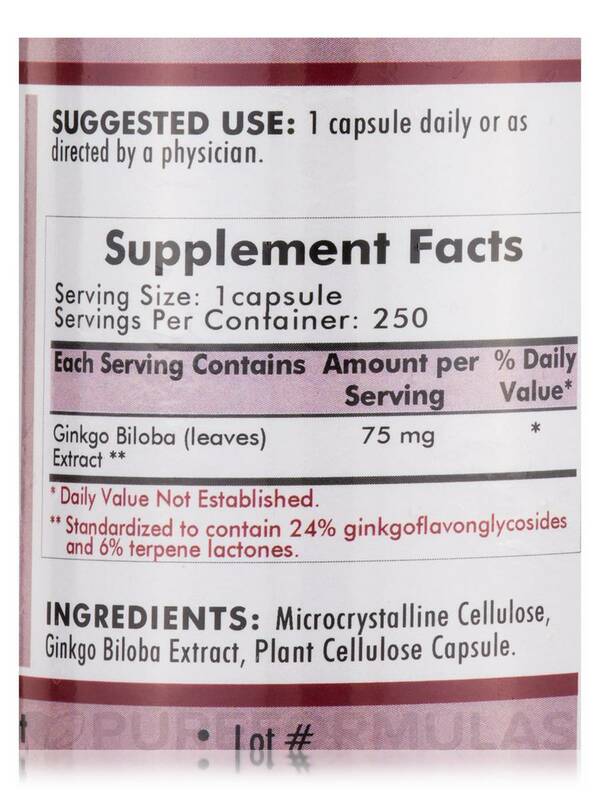 Last‚ Ginkgo Biloba 75 mg is hypoallergenic and doesn’t contain artificial fillers. 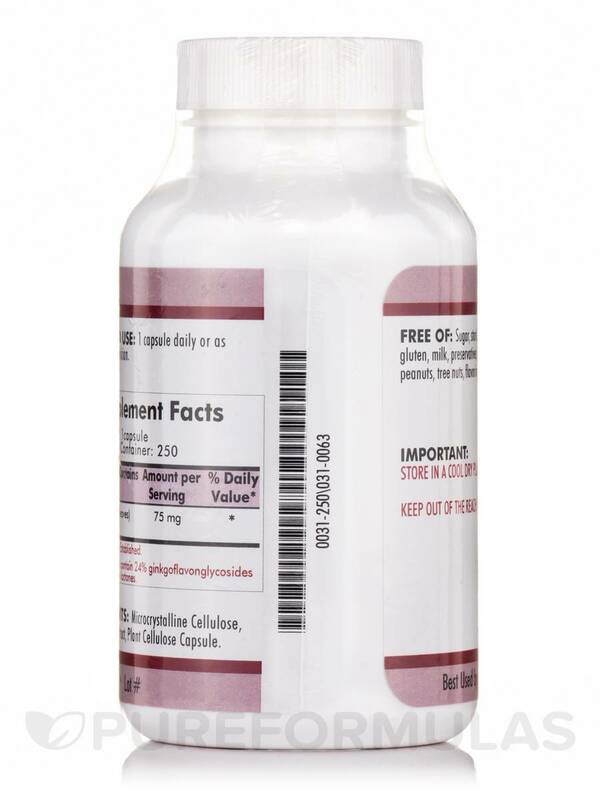 Each bottle of Kirkman’s Ginkgo Biloba 75 mg contains 250 capsules‚ which should last for more than eight months at the recommended serving size of one capsule daily. Microcrystalline cellulose‚ ginkgo biloba extract‚ plant cellulose capsule. 1 capsule daily or as directed by a physician. Easy and very small to swallow! Ginkgo Biloba 75 mg by Kirkman is a good memory builder! Good herb for cognitive function! Unsure of quality of Kirkman. Our whole family just started taking Ginkgo Biloba along with other brain-supportive supplements to keep our minds functioning well in this neuro-challenging world. 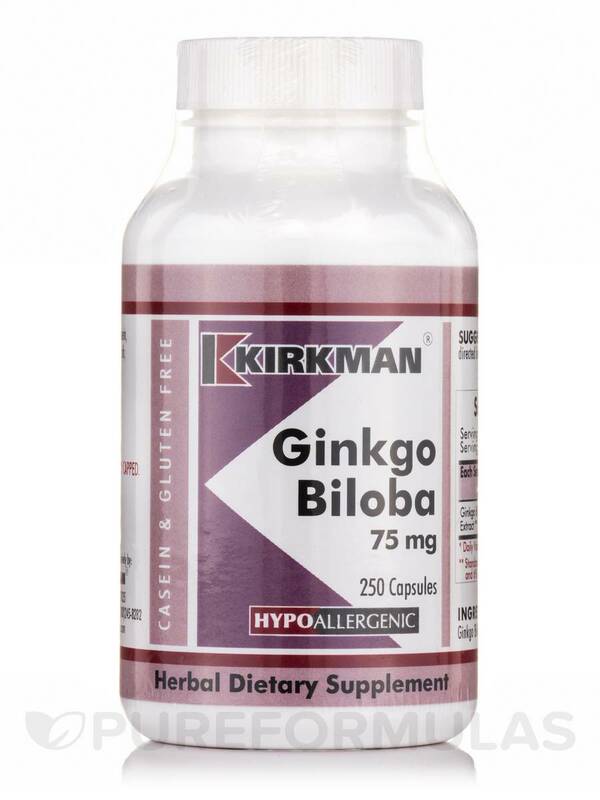 I chose Ginkgo Biloba from Kirkman Labs because it is filler-free and in a veggie cap. Pureformulas.com makes it easy for people with sensitivities to find just the right formula for them.